Nerve is a new book by Taylor Clark (author of Starbucked). Nerve is a non-fiction, exploratory novel observing and breaking down anxiety, fear, and stress. Beyond the typical fight or flight reaction in stressful or dangerous situations, the author looks at the psychology behind fear in the present information age. "Nerves make us bomb job interviews, first dates, and SATs. With a presentation looming at work, fear robs us of sleep for days. It paralyzes seasoned concert musicians and freezes rookie cops in tight situations. And yet not everyone cracks. Soldiers keep their heads in combat; firemen rush into burning buildings; unflappable trauma doctors juggle patient after patient. It's not that these people feel no fear; often, in fact, they're riddled with it. 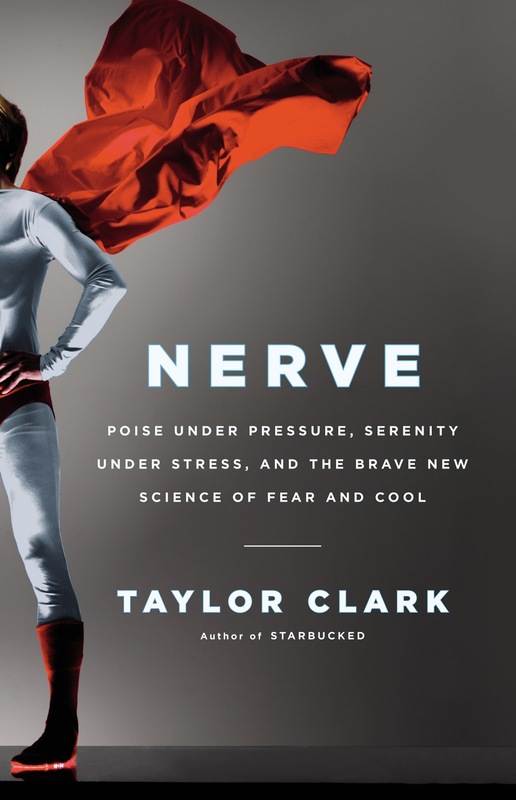 In Nerve, Taylor Clark draws upon cutting-edge science and painstaking reporting to explore the very heart of panic and poise. Using a wide range of case studies, Clark overturns the popular myths about anxiety and fear to explain why some people thrive under pressure, while others falter-and how we can go forward with steadier nerves and increased confidence." I normally prefer fiction to non-fiction. You are more likely to see James Patterson on my nightstand or something from Oprah's book club. I found this subject interesting though and raised my hand to review. If I were in a dangerous or confrontational situation, my immediate reaction would be to run. In fight or flight, I am not sure that I would ever fight! You will never see me sky diving, riding on a zip line, walking a tight rope, running with the bulls in Barcelona, climbing Mount Everest, walking over hot coals, swimming with sharks, getting honey from a bee hive, working in law enforcement, or attending to a serious medical emergency. In any and all of these situations you will see the back of me. Running. Fast. I am not alone. Clark analyzes fears and anxieties (such as these) and breaks it down. The reader is encouraged to differentiate when it is advantageous to be afraid and when it is perhaps best to overcome. Nothing is too sacred to mention - from riding in a submarine, mass pandemics, the aftermath of a terrorist attach, hypochondria or simply sitting in the hot seat on a nationally televised game show. Regardless of the situation, ultimately he focus becomes less on the fear and more on the reaction. For many a fear of failure has lead to a lack of success, simply from a lack of trying and being literally frozen in fear. Other people thrive on the energy of a fearful or stressful situation - instead of invoking frightful feelings, these are put into react and respond mode. (Paramedics, ER doctors, law enforcement, fire fighters, military leaders, athletes in contact sports, hunters) Clark gives us an interesting vantage point for analyzing fear and analyzing response- whether it be our own or others. From that we are encouraged to embrace, confront or overcome fear. I wouldn't exactly call this a self-help book, but instead a motivational one. Clark recognizes the simplicity of feelings of fear and anxiety; instead of patronizing the reader he encourages us to embrace fears through first acknowledgement and then rationalization via confrontation. He introduces different techniques, from building up self confidence to taking a different approach of worrying when faced with a new concern. I was recently given the opportunity to review the Over the Edge - I had never heard of Brandilyn Collins but the novel was a thriller. I prefer literary fiction or thrillers so I grabbed the opportunity! Apparently Brandilyn Collins is a Christian writer which is probably why I have not heard of her. I am Christian but I prefer not to read or watch religions themed novels and books unless it is an underlying theme (not a primary one). Back to the fact that I did not recognize the author.... Because I did not recognize the name I was not sure what to expect. The description did not strike me as something that I must read so I was not sure when I would get through the book. Well for some reason I picked up the book yesterday and I have to say I am glad I did. Over the Edge is a novel about a younger women, Janessa, who is married to an older man, Brock, a successful physician and researcher. Janessa is head over heels with her husband but feels that his love has waned over the years. Together Janessa and Brock have one child - the glue holding together a floundering marriage. One day Janessa is napping and has a terrifying dream of seeing a bug-eyed man next to her bed. The nightmare ends up being a reality. A man did break into her home with the sole purpose of infecting her with Lyme disease. Why? Because Janessa's husband is an outspoken medical professional who believes that Lyme disease is a short term condition, easily treated with antibiotics and has built a career off of this belief. As Janessa becomes ill she is not sure what is going on. When confronted with WHY she is feeling ill, she has to determine how to deal with it. She also has to convince her husband that Lyme disease is a long term condition, even knowing that he is convinced 100% that it is not. If her husband does not make a public profession that Lyme can be a chronic or long term condition, the man threatens to also infect Janessa's daughter with Lyme. With her daughter's health now at stake how will Janessa convince her husband otherwise? In reading the press release I learned that the novel was inspired by the author's own battle with Lyme disease and the struggles thereof - both physical and social. She talks about how her faith helped her through the ordeal and how she continues to be an advocate for education and awareness. Brandilyn hopes are that others with the disease can realize that they are not alone in their struggles and also that those who have Lyme disease but are undiagnosed can get the proper medical attention required. I know of three people personally who have dealt with Lyme disease. I received one extra advance copy (unedited manuscript in proofing stage) sand am offering it to one of my readers. How to enter: Tell me why you want to win this book! - share this giveaway on twitter, facebook or through other means. post link or method here. * Winner will be contacted via email; Winner must respond to email notification within 2 business days or another winner will be selected. * Email address must be posted in your blogger profile OR you must post it with your entry. If I do not have an email address to contact you, I will select another winner. I was not provided with compensation for this post. I was provided with a book and press release for review purposes. For more information on this blog and on my posting practices, please refer to the disclosure policy below. As a Soft Scrub Team Captain, I am able to try new soft scrub products as they hit the market. Recently I was able to try Soft Scrub Total All Purpose cleanser with Bleach. When you click over, check out the various uses or the FAQs. Normally in the kitchen I make my own cleansers using a vinegar and soap base. I do worry about disinfecting though. I love that this is a product I can use to disinfect after preparing food as a prevention measure against potential cross contamination. I really love the Soft Scrub Total line - their innovatiove bottle design and foaming spray make it easy to clean even difficult surfaces. In the kitchen I will still use my homemade cleaner for daily cleaning and the soft scrub for heavy duty jobs or when disinfecting is needed. Soft Scrub generously provided me with coupons for free products. I have coupons for 3 lucky readers! How to enter: Tell me what other product you love or want to try from Soft Scrub. I was provided with a product to review. I was not provided with any form of compensation for this post, nor was I required to write a positive review. The newest item I had a chance to review is Rock Buds. These are great for the guy in your life or the gal that hates anything to girlie-girlish. They are a gift that is not only appreciated, but is also useful! 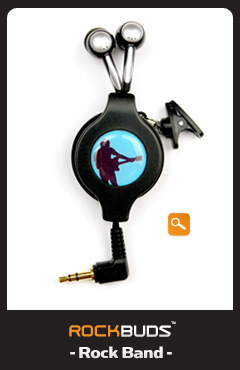 These are inner ear buds that are attached to a retractable clip on cord with a modern image on it. Rock Buds currently come in Rock Band, Rock Star, Fly Like an Eagle and Camo. My Chic Buds have disappeared and I have a pretty good idea of where they have gone. I am hoping that by giving the new Rock Buds to my teen that my Chic Buds will magically re-appear. 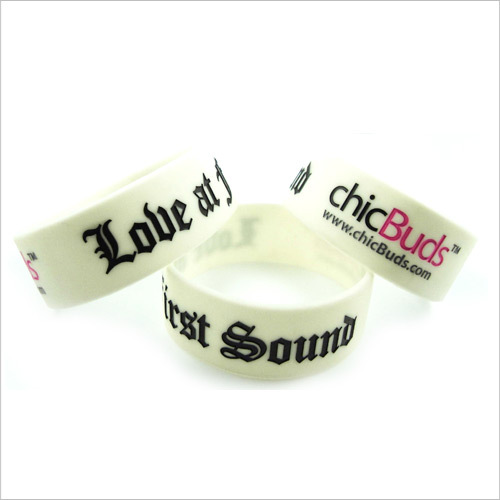 I also had the chance to review the new Chic Buds bracelets. ﻿ My kids LOVED these. My teen talked the little two into letting her have all of the Bracelets in exchange for some silly bands - she loved them the most apparently! I received products for review purposes. I did not receive compensation for this post nor was I required to do a positive review. For more information on this blog and on my posting practices, please refer to the disclosure policy below. Do you have a beloved pet that you spoil and pamper in ways you never imagined? Yes? Well we have one too. Our puppy (almost one year old) and he is spoiled rotten! Are you looking for darling pet accessories? P rior to the holidays we had the opportunity to review Pet Bandanas by Moe's place. These pet accessories are adorable! You can check out the available styles at MoesPlace! Usually I like to include customized pictures but unfortunately one of my kids left the bandana out and Mr. Scoobsters chewed right through it. I was shocked as this was a very durable thick nylon bandana. Then again, this is the same guy who chewed up 3 throw rugs, 5 pillows, countless pens and pencils, small plastic toys, stuffed animals, wrappers and books. Heck, he even chewed up a pocket mirror! We have found that there is very little he cannot chew. Thankfully he is finally seeming to get out of the chewing phase. The point is, this bandana is high quality and durable. (We just have a nutty puppy). He looked SO cute when he wore the bandana. I am going to buy another bandana when he is totally out of the chewing phase. We are almost there but not quite. If you have a dog or cat that you dote on, you would love these. I cannot stand when I see a pet overdressed and uncomfortable - (yes, it is cute but they look miserable usually). I like this because it is no worse than wearing a collar yet it dresses your pet up adorably.You can find bandanas based off of gender, holiday and style. I love this baseball inspired scarf. 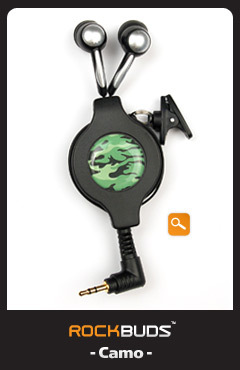 It would be the perfect accessory for my little guy! He looked adorable in the holiday one (before he destroyed it! naughty boy - good thing he is so darn cute). Most of the bandanas seem to be around $12.99. If you are looking for that perfect gift for your pet or for the pet lover, consider Moe's Place! 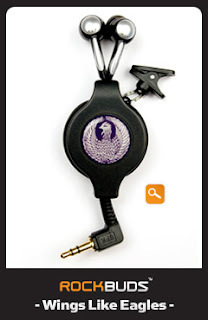 There is great selection﻿ and high quality at a fantastic price. I did not receive any compensation for this post. I did receive a product for review purposes but was not required to write a positive review. For more information on this blog and on my posting practices, please refer to the disclosure policy below. First I had the stomach flu - then Miss N. had it for the last three days. Since last night Miss E. has been complaining so my guess is that she has it now. After complaining for a bit she finally fell asleep but with some company for comfort. I had to take a picture! "Since 1980, Repêchage® has given women and men around the world a chance to regain the beautiful healthy skin they believed was lost forever. Repêchage® is a French word meaning "to rescue" or "a second chance." our superlative line of targeted care products for the face and body is steeped in the age-old tradition of European skincare with a healthy dose of American ingenuity. The result is a line that includes products for intensive anti-aging, sensitive, dry, oily and combination skin conditions, anti-acne, intensive anti-cellulite, daily body care and hand and foot care. All products are based on the wonders of seaweed and the best botanicals the earth has to offer. Even our extensive make-up collections is based on seaweed. Discover for yourself why Repêchage is a second chance for healthy beautiful skin." · Laminaria Saccharina Seaweed—This unique seaweed helps reduce sebum production and fights oil . · Lemongrass - Has antiseptic and astringent properties and is a known anti-bacterial and anti-fungal agent. · Farnesol (Lily of the Valley)—Supplies the skin with protection against acne causing bacteria. · Cucumber—a soothing, cooling and healing agent that also protects the skin and aids in healing. When I first received the product I was a little disappointed in the size but that was short lived. I found that a little of this product goes a long way. The instructions said to apply in the morning, leave on for 1 minute and rinse off in the shower. I actually used it at night but saw the benefits right away. I have very, very oily but also maturing skin and it is always a challenge for me. I am constantly battling clogged pores but trying to fight wrinkles at the same time so was looking forward to using this product. - I liked that this product was not just a mask, but also an exfoliating scrub. I saw a difference right away. The masque exfoliated dead skin sells with the scrubbing properties, but it also helped draw oil and impurities to the surface because it is a clay masque. - I tend to use a heavier application when using masks - I found that even with using a good sized amount of the product, I did not have the same heavy frozen face feeling that I experience with other clay masques - the mask was very light! - Even though effective, Hydra Refine is gentle enough that I would feel comfortable using on a daily basis. - Also, the fact that it only takes one minute to use is even more of an incentive - I used to use masks quite a bit when I was younger but now rarely do because of the time involved. Ok, two minutes if you count application time. Two minutes a day can easily be spared. This is great for working moms like me; It is like having a mini-spa treatment every morning! Hydra Refine One Minute Mask is a product I would use again. What I loved most was the combination scrub-mask. 2 steps in one is a time saver. Sound like something you would be interested in using? 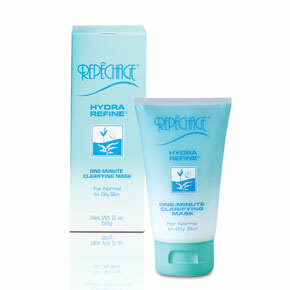 You can purchase Repechege Hydra Refine One -Minute Clarifying Mask online at the Regechege website. It retails for $31 but is currently on sale for $25.98 USD. I have reviewed a few Tropical Traditions items with great success. I love their line of natural and unique products. 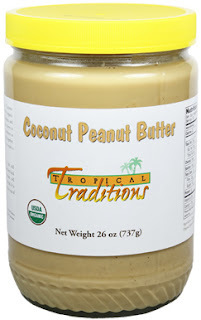 I have reviewed the Gold Label Coconut Oil, Raw Honey and this month, the Organic Coconut Peanut Butter. 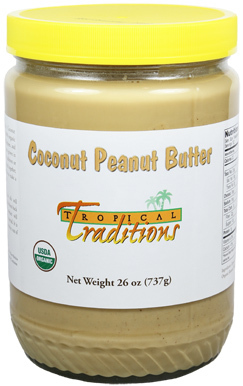 "Tropical Traditions Organic Coconut Peanut Butter is made from organic peanuts and organic coconut. Two ingredients: nothing else! No fillers, no binders, no sweeteners, and no preservatives. The peanuts are 100% organic Valencia peanuts grown organically by family farmers in New Mexico and Texas. Grown in the dry climate of the southwestern United States, these peanuts are certified organic and free from aflatoxins. The dried coconut is certified organic coconut meat from the Philippines from coconuts that are grown with no fertilizers or pesticides. This premium dried coconut contains no additives or preservatives, and is not sweetened. Unlike most dried coconut on the market, our dried coconut products are not treated with sulfites to keep them white. Together, these premium organic roasted peanuts and the premium organic dried coconut are ground together to make a delicious and nutritious spread!" I was SO excited to try this product. We use a lot of peanut butter. Lately I have been trying to purchase more of the natural varieties so was very interested to test this. My kids tried this when making a Peanut Butter and Jelly sandwich and I did not get favorable reviews. I think it was more the texture than the taste. Instead of a smooth, sticky texture like peanut butter, this has more of a firm texture - similar to hard ice cream. I decided to try this in cooking and I am glad I did! I received rave reviews from not only my kids, but also my husband. I like to make Asian inspired dishes - stir fry is easy to make, tasty and healthy. One of our favorites is rice noodles and stir fry covered in a peanut sauce. For the sauce I use a recipe from the Family Dinner cookbook that I reviewed a few months ago. It contains rice vinegar, sesame seed oil, garlic, ginger, soy sauce, honey and peanut butter. This time I made it with 1/2 regular peanut butter and 1/2 Coconut Peanut Butter (see pictures below). So easy - stir-fry veggies over rice noodles, and topped with the tasty peanut sauce. Ironically I actually used all three Tropical Traditions products in this recipe! I used both the Raw Honey and the Organic Coconut Peanut Butter to make the peanut sauce and the Gold Label Coconut Oil for the stir fry (frozen veggies, fresh chopped carrots, celery, mushrooms and bok choy cabbage topped with sesame seeds). My husband said it was much better with the Organic Coconut Peanut Butter because it was not as sweet. It has a milder taste and did not overwhelm the taste of the veggies. If you are interested in buying the Coconut Peanut Butter hurry! 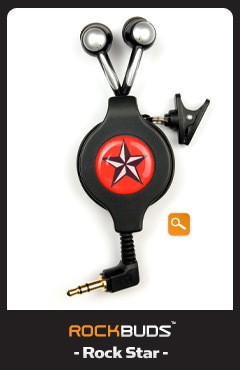 It is on sale now through March 31st, 2011 for 40% off! Tropical Traditions provided me with a free sample of this product to review, and I was under no obligation to review it if I so chose. Nor was I under any obligation to write a positive review or sponsor a product giveaway in return for the free product.. All opinions expressed are my own. For more information on this blog and my posting practices, please refer to the disclosure policy below at the bottom of this page. We all want our homes to look and feel beautiful when guests arrive for Easter dinner, but without planning how to achieve that look, rarely does it happen. Responsibilities with children, work, and other commitments take our time away from preparing out homes the way we want. Instead of worrying about decorating this year, try some of the color ideas below to jazz up your decor and make your home look extra special. Violet VisionIf your home is mainly done in cool colors, violet can be the perfect addition. Imagine your white and blue living room accented with some delicate violet throw pillows. Place a vase of violet blue hydrangeas in a vase on the coffee table and your room will have new life. Small accent pieces throughout the room can really tie the violet into the room’s existing decor. Play up the pastel and focus on the areas in the room where the color naturally falls. Pretty in PinkPink is the quintessential spring color and for Easter it is a given. Instead of opting for pale pink, try a cotton candy pink instead. The shift from subtle to bold will brighten up the room and add a new dimension. Too much cotton candy pink can be a bit much, so use it strategically in a throw blanket, throw pillows and some pink Easter eggs in a white dish on the coffee table. Aqua AllureThink about the beautiful aqua eggs that your children dye and use them as inspiration. A table runner in aqua can dress up that plain white table cloth and some disposable aqua napkins can fit right in. Unlike traditional colors, aqua is found in all sorts of accessories that can enhance the look of your room in an unusual way. Do not be afraid to branch out to a new color, as aqua will certainly brighten and cheer up any Easter decor. Grassy GreenWhen looking for the perfect color for your room’s accents, Easter grass green is ideal. It is bright, cheerful, and naturally coordinates with all of your other Easter decorations. Sew up some quick throw pillows for the sofa in grass green, or put down a green bathmat in the powder room to bring the feel of Easter in there too. Everything from hand towels in the kitchen to linens on the guest room bed, can be found in the vibrant grass green color that is so associated with the holiday. Have fun using it in all rooms of the house and brightening your home as you do so. Color can make a huge difference in the way your house looks for the holidays. By choosing one or two main colors and using them throughout the decor, you create continuity and a look of organization. Instead of seeing Easter as yet another holiday that you have to decorate and clean for, think of it as an opportunity to brighten up your home with colors that you might not normally use. Senior staff writer for Metal-Wall-Art.com, Alyssa Davis, offers design advice on decorating with metal dragonfly wall decor and abstract metal art. My kids tried this when making a Peanut Butter and Jelly sandwich and I did not get favorable reviews at first. I think it was more the texture than the taste. Instead of a smooth, sticky texture like peanut butter, this has more of a firm texture - similar to hard ice cream). I tried softening the peanut butter (which made a huge difference for something like a PB&J sandwich). I decided to try this in cooking and I am glad I did! I received rave reviews from not only my kids, but also from my husband. Tired of your child coming home and missing items? How about listening to arguments at home about what is "mine". I can usually tell whose items are whose but my husband never can! Although the girls almost 2 years apart, Miss N. and Miss E. are now very close in size and even I can no longer always tell who owns what. If I cannot determine the rightful owner of a specific item, I am pretty sure my husband or a teacher with over 20 kids in class is not going to be able to either..... Oliver's Labels to the rescue! These are great, innovative personalized labels. What is so special outside of the personalization? These labels are durable! "Oliver's Labels makes high quality waterproof labels and tags to stick on all your kids' stuff. Our labels are dishwasher & laundry safe and will never fade, scuff or peel." Some of the labels even have a 'Found It" option - if your child loses an item there is a number. Your number is attached to your email address. The finder can simply email you so you can make arrangements for return. At home I am always putting cups in the dishwasher because I never know whose is whose and the girls cannot remember what color they last selected. Now they are splitting the cups evenly and labeling so we will always know whose cup is whose. Besides peace of mind and less arguing, this is a great water saver too! No Nuts, No Dairy, No Seafood, No Gluten, and No eggs - Extra peace of mind! Oliver's labels also offers variety packs - choose from starter pack, preschool pack, clothing package, school package, and camp package. Find out more about Oliver's Labels at You can also follow on Facebook or Twitter to find out about new products, specials and promotions. You can also check out the FAQs for any questions you may have. I did not receive compensation for this review. I did receive two packages of labels for review purposes. For more information on this blog and on my posting practices, please refer to the disclosure policy below at the bottom of the page.